Still snowing in Park City Utah! Posted by Erik Asarian on Sunday, November 13th, 2011 at 2:26pm. It's still snowing in Park City, Utah and resorts across the state are beginning to open for the 2011-12 winter season. 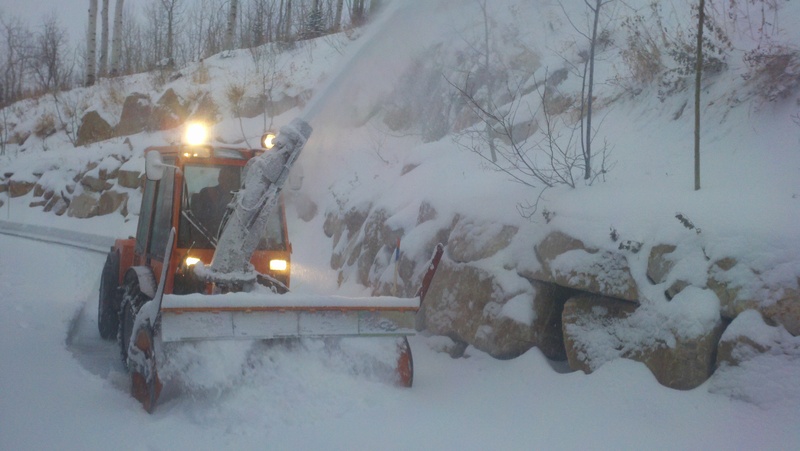 It's exciting for the resorts, and it also means it's time to lock-in your snowplowing solution for the coming winter! If you haven't yet arranged for snow removal at your home in Deer Valley or Park City, we just discovered the ultimate snow removal solution. Park City Sno Blowers, aka Blue Ribbon Seasonal care, just acquired a couple of ultra high-end european made tractors outfitted with huge snow blowers. These burly machines make quick work of even the most challenging driveways in high-altitude locations like The Colony and Upper Deer Valley. They're faster, more energy efficient, and less damaging to your driveway than traditional snow plowing. So if you want to make your life easy this winter, hire the Park City snow removal experts and your snow removal worries will be over! You can find them online at www.parkcitysnoblowers.com or call 435-602-9063 for a free estimate.